This data, exported from Google Analytics, demonstrates group of interactions that took place on Austintexas.gov pages within a one-month time frame. A single session can contain multiple screen or page views, events, social interactions, and ecommerce transactions. This represents the top 10 searches that visitors have conducted on www.austintexas.gov. The Number of Queries is calculated by Unique Pageviews per month. The data represents the most recent one month period. This data set shows locations at which Austin Public Health has a presence, those locations with office hours contain service providers. Some locations are owned by the Department, while other locations house Austin Public Health staff.  No warranty is made by the City of Austin or Austin Public Health regarding the specific accuracy, relevance, or completeness of this data set.